Julian Burnside: Alienation to alien nation | Wendy J. Dunn, Award-Winning Author. I had a conversation with Tim Costello some years ago which significantly changed my way of seeing things. He told me of a time when he was running the Collins St Baptist Church. A guy who had been sleeping rough for quite a while had turned up at the Church wanting a feed. Tim was talking to him. The guy said that that conversation was the first time in two weeks he had had eye contact with any other human being. I can scarcely imagine what that must be like. That man had, at least in his own mind, completely disappeared. I have thought about that conversation often. The idea of such alienation haunts me. But there are many people in our society who have, at least in their own minds, disappeared. These are the people who, because of mental health problems, or simple bad luck, find themselves nursing a grievance that no-one wants to hear about. The more they complain, the more they are ignored; the more they are ignored, the louder they complain. The louder they complain, the more they are avoided, viewed with suspicion. And once that cycle sets in, their problems become more and more real to them, less and less real to those around them. These are the people who ring late night talkback radio and harangue the host until even the panel operators know to filter them out. They are the new outcasts. My conversation with Tim came in useful during the first round of Australia’s recent panic about asylum seekers. Between 2001 and about 2006, a lot of Australians were persuaded to be anxious about boat people arriving here. After all, the Howard government had told us they were illegals; that they had thrown their children into the sea; that they had jumped a queue somewhere. And the struggle to prevent the country from being swamped by this tide of potential terrorists was paraded as “border protection”. 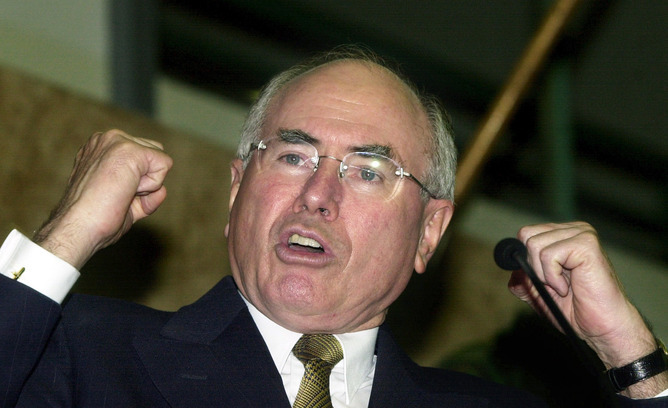 Howard recognised that there were votes to be taken from One Nation if only he could make us fear the alien horde and position himself as our protector. It worked. There is a story that I have on fair authority which shows clearly what was going on. Howard was about to enter the House of Representatives to deliver his speech explaining the government’s response to the Tampa. Jackie Kelly approached him in the lobby. She said that a lot of her constituents were deserting to One Nation. Howard waved his speech in front of her and said: “don’t worry – this will fix it”. As most people thought at the time, the government’s response to the Tampa was purely political. Of course, Howard had a great run of good luck in 2001. 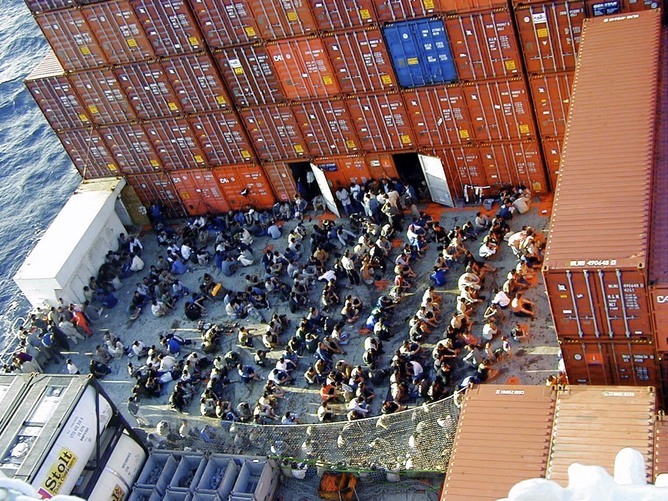 His government refused to let the Tampa put its bedraggled cargo of rescued Hazaras ashore on Christmas Island; he cobbled together the Pacific Solution while the court case about Tampa continued. The judgment at first instance in the Tampa case was handed down at 2:15 Eastern Standard Time, on September 11, 2001. The result was not noticed in the newspapers next morning, because a group of Islamic extremists had attacked America. From that moment, there were no terrorists but Muslim terrorists. There were no boat people but Muslim boat people, and although it was never clearly stated, all boat people were suspected terrorists – our worst nightmare. For those who did not see through the political opportunism, boat people were aliens to be feared. Of course, if the true facts were understood, our response would have seemed rather odd. It did not suit the politicians to acknowledge that boat people were not illegal, that there was no queue, that they had not thrown their children overboard, and that they were trying to escape the same extremists we were so frightened of. For my sins, I became involved in the issue. I was regularly asked to speak, at public events and private, about asylum seekers. It seemed to me that the key to the problem was to explain the facts. Naïvely I thought that most Australians would recoil at the idea of wilfully mistreating men, women and children who had done nothing wrong but try to escape to safety. A couple of unexpected things happened. First, I got a few death threats. It surprised me that, having done a few pretty contentious cases in my career, I should receive death threats for going to court pro bono on behalf of people who were, self-evidently, voiceless and powerless. And whenever I was quoted in the media saying something outrageous like “it is wrong to imprison innocent children and drive them to suicide”, I would receive a torrent of hate mail. The anger and intensity of the hate mail astonished me then, and it still does. It struck me as remarkable that people would write to a complete stranger in such bluntly abusive terms. And the mail I got was seriously, vigorously abusive. Since I had set myself the goal of converting all of Australia to understanding the facts, I decided to answer all the hate mail. After all, these people had self-identified as disagreeing with my views. My reasoning, flawed as it looks now, was that if only the people who disagreed with me could understand the facts, then they would come around to my way of seeing things. If enough people changed their views, the government policy would have to change. Clearly I did not know what I was dealing with. Still, I resolved to answer all the mail I could. Mail that came by post was impossible to answer because, as a rule, people who use the postal service are a forgetful lot who did not include a name or address. But most of it came by email and, even if I did not know the sender’s identity, I could respond by simply hitting the reply button. I sat up late at night answering emails: thousands of them, mostly abusive. Some of them all in capitals; lots of exclamation marks and lots of very rude words. I am no shrinking violet, but I was astonished by the rudeness of many of the emails I got. Unpopularity brings strange rewards. Thank you for your email. I gather you do not agree with me. But did you realise that…they do not break any law by coming here asking for protection; there is no queue…etc. If I was surprised by the rudeness and vehemence of most of the emails, what followed was even more astonishing. Nearly all of them responded to my reply…and every response was polite. The responses fell into a few patterns, but typically they said “thank you for answering me, I did not expect to hear from you. The facts you sent me are all very well, but…”, and then they would set out other objections. I replied with more facts to answer those objections. Over the course of thousands of bits of hate mail, I estimate that about 50% ended up saying, in substance: “Thank you for discussing this issue with me. I agree with you now”; and about 25% ended up saying, in substance: “Thank you for discussing this issue with me. I don’t agree with you, but it is good that you stand up for what you believe”. The other 25% remained entirely unconvinced and, I assume, continued to vote for John Howard. What struck me in all this was the story Tim had told me. I guessed that the people who wrote to me – and who did not expect a reply – were so alienated from the community that their only means of expressing their anger and fear and resentment and confusion was by writing to someone mildly prominent. It occurred to me then that the passion which drove their initial hostility was the mark of people who were alienated from the community: they were accustomed to being ignored, so they fall to shouting abuse as a way of getting attention. Just once listen to them, and they quickly fall back to observing the ordinary rules of civil behaviour. This is not just an argument for good manners: I think it goes much deeper. Too many people in our community feel alienated from it and that alienation is unstable: it tends not to self-correct, but to amplify itself. We are a prosperous country: most of us are genuinely lucky. But we are not good at sharing our luck, and we have a strange habit of thinking that those who are less lucky must be, in some way, responsible for their own misfortunes. There are many reasons why members of the community become alienated from it. They may have been dealt a bad hand: they have been born poor, they have been badly educated, they have a mental or physical disability, they have bad luck in employment, they make bad choices which lead them into a hopeless life. Any one of these disadvantages can lead to a cascade of events which leave a person at the bottom of the pile. And when compassion turns to vindictiveness these people suffer twice for the disadvantages they could not avoid. Because everyone, it seems, knows my name, address and occupation I get a lot of unsolicited requests for pro bono help. It has been interesting, not to say distressing, to see the sort of troubles that plague people in our community. I get a large number of requests for help. I make it clear that all I can do is offer pro bono advice. I have a group of talented interns who help me deal with the problems. What is distressing is that the majority of people who write to me this way do not in fact have a recognisable legal or human rights problem. Typically they are people who have had some bad luck, have made some bad choices, and find themselves trapped in a spiral of disadvantage, distress, unemployment and mental instability. At that point, anything that looks like a legal or human rights problem prompts them to reach out for help. I imagine that medical clinics have a similar experience. When I write to them with further questions, or with advice about what to do, it usually becomes clear that they have already been to just about every imaginable place for help: Legal Aid, a Community Legal Centre, government departments, their local doctor or MP. No-one can help them, because they have no single, clear problem apart from the fact that they feel alienated from everything. Part of their distress is caused by feeling so isolated. The most distressed, and distressing, group are people who are probably paranoid schizophrenics. One person who writes to me quite often is convinced that the police, and other government agencies, are spying on him all the time and that they have a secret control order against him. He is intelligent and well-educated. He sends video footage of ordinary street scenes, at the traffic lights, in shopping centres, in suburban streets and he asserts (and no doubt believes) that various people captured on his videos are in fact plain clothes operatives – stalking him, watching him, keeping him in a kind of open prison. This person points out, rationally enough, that such conduct is a serious breach of his human rights. And if the innocuous scenes he sent showed what he sees, he would be right. But they do not show what he sees. They prove nothing at all. He insists that the Commonwealth government have a secret control order against him: but he can offer no explanation how a control order can work, if it is kept secret from everyone. The difficulty with people like this man is that they cannot be convinced that their view of the facts does not line up with reality. And it is hard for a lawyer to tell a would-be client that he needs psychiatric help. The end result is that people like him get pushed from pillar to post but rarely if ever get the help they actually need. There are only a couple of bright spots in this dismal tale. The first concerns a lady who turned up in my chambers one lunchtime, quite distressed and wanting to see me. We chatted for a bit, but the long and short of it was that she had been receiving treatment for paranoid schizophrenia, her treatment had been interrupted; she became convinced that her treating doctor was trying to kill her with the medications he had prescribed, so she decided not to take it any more. She wanted me to take possession of the diary she had been keeping because she was confident that she would soon be killed and she wanted me to have the evidence which would identify the guilty party. We spoke for some time. Somehow I managed to persuade her to go to a new doctor – someone who could not possibly know or conspire with her treating doctor – and agree to take whatever medication he prescribed. In the meantime I would protect her diary. About two months later she turned up again. She had been to another doctor. She had taken the medication he prescribed. She was feeling a lot better, and realised that she had misjudged her original doctor. In the circumstances, she did not need me to look after her diary any more. How odd that one of my few successes in the field of human rights should result from a modicum of medical knowledge and a bit of common sense. The second bright spot is this. Most of the people who write asking for pro bono help have simply not got a legal problem. While they may have had a genuine legal problem in the past, typically it is buried in history and statute barred years or decades before. The real problem is that their lives have gone off track, and they no longer feel any connection to the society which has let them down so badly. A surprising number of these people seem to benefit from having their problem taken seriously, from getting a written advice in response to their letter, or from being listened to for half an hour. Of course, there are plenty of people in the community who have genuine legal problems who cannot afford legal representation. People who face minor criminal charges but cannot afford a lawyer; people who have a good civil claim to make, or a good defence to a civil claim brought against them, and cannot afford legal representation. Access to Justice is a cornerstone of any democracy. Access to Justice must include the right to participate meaningfully in the legal system. The legal system in Australia is an adversary system: competing parties advance evidence and arguments, and the court sits as an impartial umpire to decide the dispute. The adversary system assumes that both parties are competently represented: that is its most basic assumption. If that assumption fails, the system fails. Our system struggles to work properly when one party is unrepresented. But litigation is expensive, and many people can’t afford it. Legal Aid is the government’s way of making good the political promise of Access to Justice, but Legal Aid is already underfunded, and cuts to Legal Aid guarantee that for many people Access to Justice is nothing but a political slogan. The government is spending increasing amounts on police and Public Safety Officers. Their increased numbers result in more citizens being brought before courts. Those people need legal representation, but the government refuses to fund Legal Aid properly. Thousands of self-represented litigants come before courts every year. This imposes unreasonable strains on judges, and it makes cases longer and more difficult than they should be. It often leads to mistakes. 25% of all appeals involve unrepresented litigants. It wastes vast amounts of judicial and other resources. People who face a court unrepresented suffer an immediate disadvantage. Only by good luck will they get the result they might have got if they had been represented. And even assuming the court reaches the right decision it is likely that the unrepresented litigant will have understood almost nothing of the process and will leave with a rankling sense of injustice. With some justification, those people will leave court feeling that the system is not working, at least not for them. They become aliens in their own land. 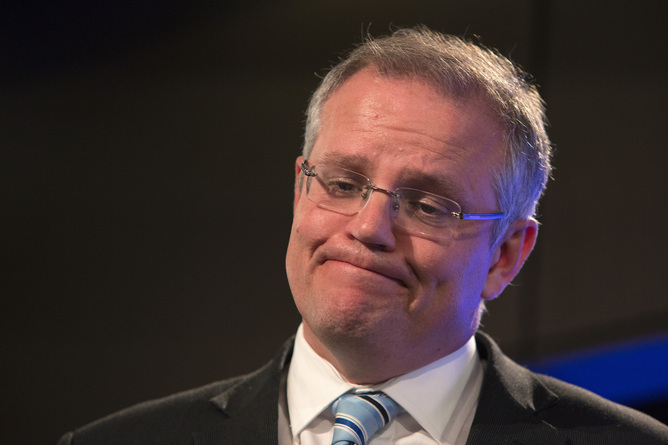 Since 2001, Australian politicians have won electoral popularity by taking a tough line on asylum seekers. During the past 15 years, asylum seekers were somehow hoisted to a position of public hatred which made it politically possible for the Howard government to treat them with increasing harshness, and made it politically necessary for Kim Beasley’s Labor opposition to support these measures. Without any protest from the press or the public, the Howard government succeeded in establishing, in the courts, that the central elements of its deterrent policy were legally valid. Not enough people know the case of Ahmed al Kateb. He came to Australia and sought asylum in late 2000 or thereabouts. He applied for a visa and was refused. He found conditions in Woomera so intolerable that he asked to be removed from Australia. Eighteen months later he was still here because, being a stateless Palestinian, there was no country where he was entitled to be and no country was willing to receive him. The Migration Act provides that a person who comes to Australia without papers must be detained, and they must remain in detention until either they get a visa or they are removed from the country. When the Keating government introduced those measures in 1992, one supposes that parliament suspected that either of those two outcomes would be available in every case. They had not allowed for the anomalous case of stateless people. You might think that a government which had paraded itself virtuously as committed to family values and a fair and decent society, might quickly amend the law to account for these few anomalous cases. But what the government did, in fact, was to argue all the way to the High Court that al Kateb, even though he has committed no offence in Australia, can be held in detention for the rest of his life. The High Court agreed. Parallel with the al Kateb case was the case of Behrooz. That case tested this question: if the conditions in detention are as harsh as human ingenuity can devise, does the harshness make any difference to the lawfulness of that detention. The answer is No. Al Kateb and Behrooz were decided together in 2004. Between them, they stand for the miserable proposition that indefinite detention, even for life in the worst conditions imaginable, is lawful. A third case decided that year held that the provisions apply equally to children. The Rudd government in 2008 introduced significant changes in the treatment of asylum seekers. They were welcomed by those of us who felt that the values of the nation had been betrayed by the Howard government. In retrospect, it may be that Rudd could afford to be nice to asylum seekers because none were arriving. Things changed in 2009, after Tony Abbott had won leadership of the Coalition and started talking tough about asylum seekers. The recent election saw the major political parties engaged in a competition to outdo each other in their promises to mistreat boat people. The theory is that this will deter others from seeking protection here. Promising to treat innocent people badly is not usually a vote-winner. In most cases it would be seen as a mark of depravity. But the argument starts at the wrong place. It starts with the Coalition’s oft-repeated statement that boat people are “illegals”. It starts from the language of “border protection” and “queue-jumping”: language calculated to make the public think boat people are undesirables, people to be feared, people we need to be protected from. The spectacular cost of these measures passes without complaint because it is seen as a kind of protection. While it is difficult to separate out the various components of the cost, indefinite detention costs, on average, around A$160,000 per person per year as of 2011-12. The actual cost varies: metropolitan detention is cheapest. It gets more and more expensive as the place of detention is more remote. On current estimates, we will spend about $4 billion each year brutalising people who have committed no offence and have done nothing worse that ask for protection. It is not easy to understand how this has happened. Those of us who think Australia is better than its behaviour suggests now feel like aliens in our own land: bewildered at how quickly the country has lost its moral bearings. Australia has constructed a myth about itself which cannot survive unless we forget a number of painful truths. We draw a veil of comforting amnesia over anything which contradicts our self-image. We forget that the greatest number of unauthorised boats to arrive in a single day got here on January 26, 1788. We forget that the first white settlers in this country were true illegals: sent here by English courts for a range of criminal offences, and the soldiers sent to guard them, and the administrators who, following London’s instructions, stole the country from its original inhabitants who, if possession is nine points of the law, had the backing of 40,000 years of law to justify calling the white invaders “illegals”. And we forget, too, the line in the second verse of our national anthem. For those who come across the sea there truly are boundless plains to share. For refugees locked away in remote detention centres, that line must cast light on the frontier which delusion shares with hypocrisy. We forget how different it was for 85,000 Vietnamese boat people 30 years ago. They were resettled here swiftly and without fuss, thanks to the simple human decency which Malcolm Fraser and Gough Whitlam showed, and which Abbott and Rudd so conspicuously lack. We forget how hideously we scarred Vietnam; how we showered them with Agent Orange and trashed their villages and disfigured their people. Just as we forget the effects of our collaboration in Iraq. But if we knew back then why people flee the land of their birth, we seem to have forgotten it now. When today’s refugees wash up on our shores, politicians speak with concern about the boat people who die in their attempt to get to safety. But their concern is utterly false. Instead of attacking the refugees directly, which is their real purpose, they attack the people smugglers instead. Because, aren’t people smugglers the worst people imaginable, the “scum of the earth”? 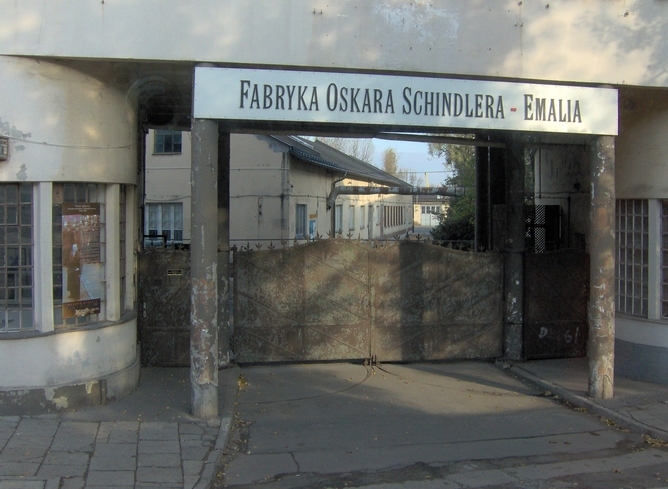 They forget that Oskar Schindler was a people smuggler, and so was Dietrich Bonhoeffer. And so was Gustav Schroeder, captain of the ill-fated MS St Louis which left Hamburg in May 1939 with a cargo of 900 Jews looking for help. He tried every trick in the book to land them somewhere safe, but was pushed away. He ended up putting them ashore again in Europe, and more than half of them perished in concentration camps. Captain Schroeder was a people smuggler, but was also a hero and if the world had not been so harsh he would have been a saviour. And we forget that, without the help of people smugglers, refugees are left to face persecution or death at the hands of whatever tyranny threatens them. Let Rudd or Abbott say publicly that, in the same circumstances, they would not use a people smuggler if they had to. Many recent boat people are Hazaras from Afghanistan. They are targeted ruthlessly by the Taliban, who are bent on ethnic cleansing. The Hazara population of Afghanistan has fallen dramatically over the past decade, as Hazaras escape or are killed. The Taliban want to get rid of all of them. We have forgotten that we are locked in mortal combat with the Taliban. When our troops pull out of Afghanistan at the end of this year, the Taliban will declare open season on Hazaras. It will be a bloodbath, and some Hazaras will end up seeking protection here. How will we respond? Coldly, it seems. So here we are: Australia in 2013. We have forgotten our origins and our good fortune, we are blind to our own selfishness. In place of memory we cling to a national myth of a generous, welcoming country, a land of new arrivals where everyone gets a fair go; a myth in which vanity fills the emptiness where the truth was forgotten. During the election campaign, many of us watched aghast as both major parties promised mistreatment so harsh that it would act as a deterrent; mistreatment so unpleasant that it would seem more attractive to stay home and face down the Taliban rather than flee for safety. It is painful to recognize that we are now a country which would brutalise one group with the intention that other people in distress will choose not to ask us for help. The sight of the major parties competing to promise greater cruelty to boat people is new in Australian politics. We have never been perfect, but this was something without precedent. But some of us remember how things once were, some of us see how things could be. And we grieve: aliens in our own land. This piece is based on the Tim Costello Lecture, delivered by Julian Burnside on September 18.